Read to install, fully restored 914 Brake Calipers including the inner adjustment gears for the rear calipers. Normally you have to take the adjustment gears out and put the old ones back in yourself. Our pricing will be the same as PMB with the same Core option. You can simply buy them or return your usable cores to Eric to help the next person who needs brakes now, and we will credit you the core charge ($200.00) once they have been certified as rebuild-able. Pair of Early Front 914 Calipers. Yellow Zinc. Pair of Early Rear 914 Calipers. Yellow Zinc. Pair of Late Rear 914 Calipers. Yellow Zinc. · Complete disassembly to bare core. 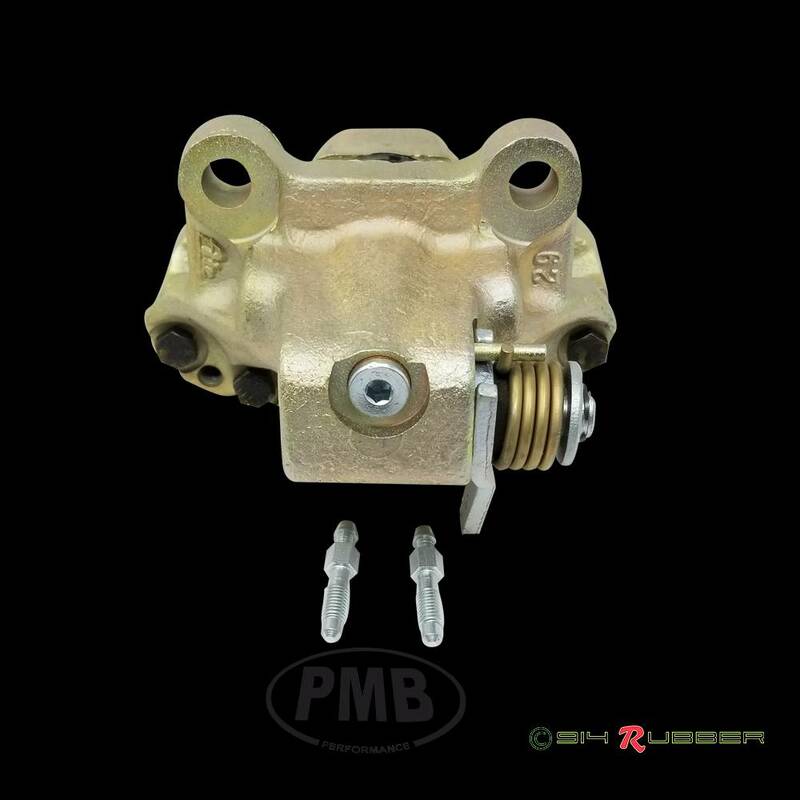 · Removal of stuck or frozen pistons. · Replating of caliper cores. · Vibratory polishing of pistons. · Cleaning and recoating piston tops with high-temp paint. · New factory ATE seals and dust covers throughout. · Reassembly with pistons in proper position. 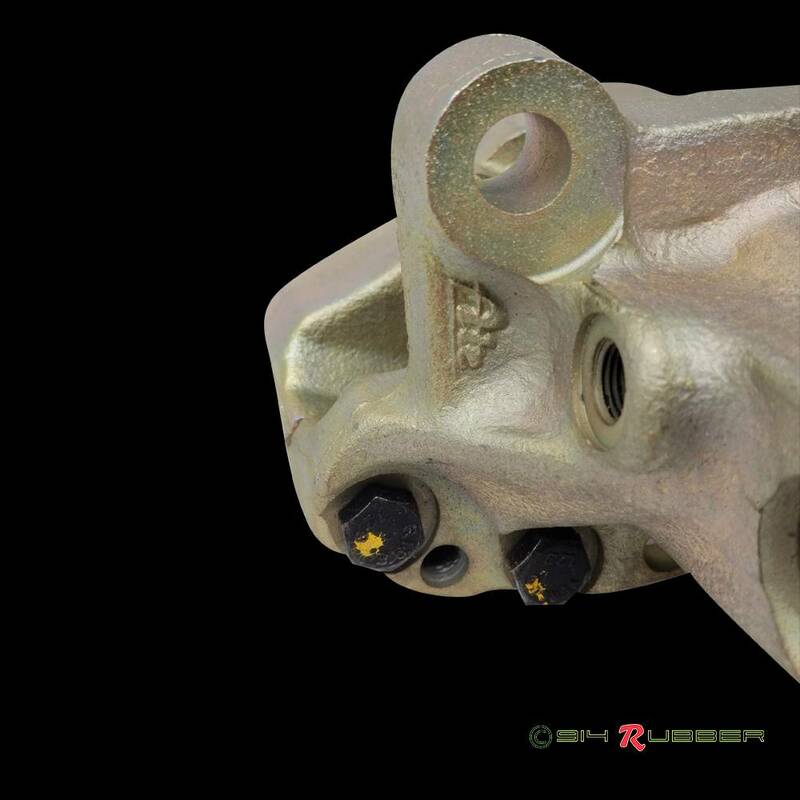 Thank you for your rebuilt caliper purchase. 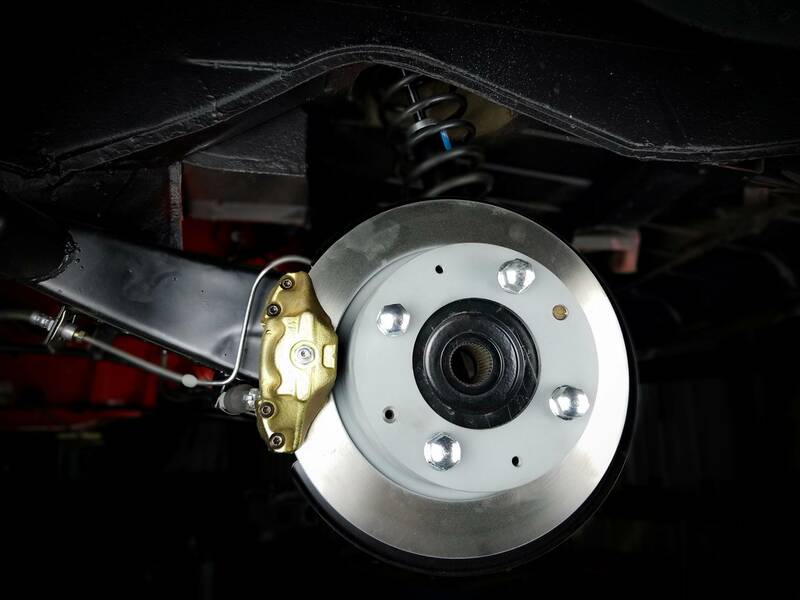 We hope you’re enjoying your shinny new brakes. 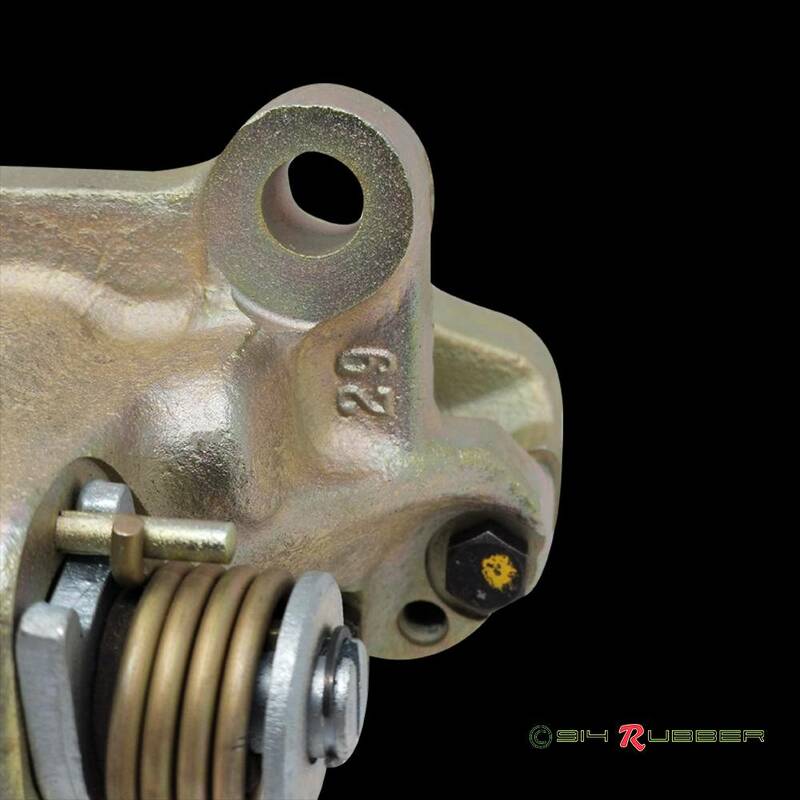 A stock 914 brake system, in excellent operating order, is still to be revered. You’ve taken a giant leap forward by sorting through yours and bringing it back to factory standards. You’ll need the same tools used to remove the calipers to get them back on. • 19mm open end or six-sided wrench for mounting bolts. • 11mm brake line wrench for installing the brake line. 1. Remove caliper from the box, gawk and ogle. 2. Install the brake pads (#1), spring (#14), guide pins (#24) and retaining clips (#25). 3. Mount the brake line (#6) to the caliper. 5. Adjust the venting clearance and then attach the hand-brake cable. Reinstall the inner adjuster cover. Normally the Inner adjustment gears are “not” included. You’ll need to take the adjuster gears out of your old calipers. 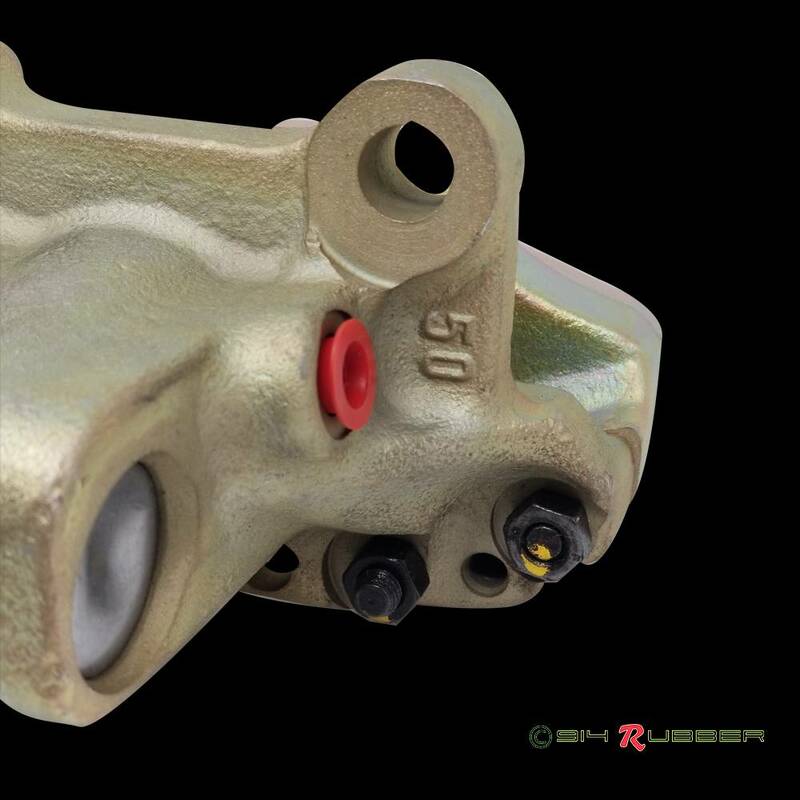 (These have them in already) Your calipers are shipped with the pistons completely retracted. This will allow for new brake pads to slide in. When it comes time to adjust you “MUST” turn the adjustment screws in the proper direction or you risk damage to your new caliper. Inner adjustment screws turn “clockwise” to adjust the piston and pad toward the rotor. Outer adjustment screws turn “counterclockwise”. Adjust the pad clearance to .004mm with your parking brake “disconnected”.